Coupons help Army families save significant amounts of money on groceries and other staples, and the best place to find coupons and other deals and discounts specifically targeted to the modern military family is MyMilitarySavings.com. Since 2011, we have been dedicated to helping those who serve by offering resources to help maximize savings and minimize time spent shopping. Whether you’re stationed at a Navy base overseas or you’re serving stateside in the Army, Air Force, Marines, or Coast Guard, our coupons and discounts can help stretch your dollar. When you become a member you can use our proprietary desktop app, “My Shopping List,” which makes it easy to take advantage of great coupons and create a shopping list that you can print out at home or access on your mobile phone. On our Coupons page you will find money saving coupons that you can print out and redeem. It’s a snap to access your Commissary Rewards through the Commissary Rewards Card link, which takes you to the Defense Commissary Agency (DeCA) site where you can download coupons to your card and redeem them at the commissary. In addition to coupons, you’ll find fellow Army families, and families from all branches of the military, who’ve joined our digital community. Our 70,000 members offer shared support, money saving tips, delicious recipes, and advice on all topics, ranging from PCSing overseas to holiday decorating tips and everything in between. 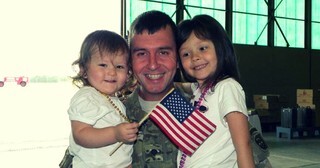 For more information about how we help you serve, save, and enjoy by offering coupons for Army families, join MyMilitarySavings.com. Membership is free, so visit our sign-up page today.